If you haven’t checked it out yet, you should stop by my YouTube channel, Homemade Wanderlust. I post at least one new backpacking-related video every week. 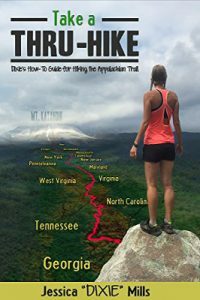 If you have any questions regarding hiking, especially on the Appalachian Trail or Pacific Crest Trail, you can watch my informational and vlog-style videos. Not only will you potentially learn something new or get a laugh, but you’ll also be helping support what I do by simply viewing one my videos. To see my channel, visit it HERE. 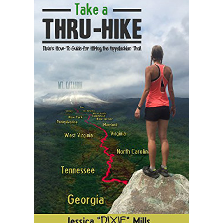 If you’re thinking about hiking the Appalachian Trail, you can purchase and read my “How-To” Guide that I wrote upon completion of my AT thru-hike. Check it out HERE. Patreon is a platform for content producers to interact with their biggest supporters. Supporters known as “patrons” can pledge a monthly amount (as low as $1/month) and earn rewards based on the level of support. One of the perks that ALL patrons receive is access to LIVE Q&A’s. To learn more about Patreon, you can visit my page HERE. Some people have asked if it is possible to make one-time contribution instead of being a part of Patreon–of course! I graciously accept one-time contributions either through PayPal or BitCoin.